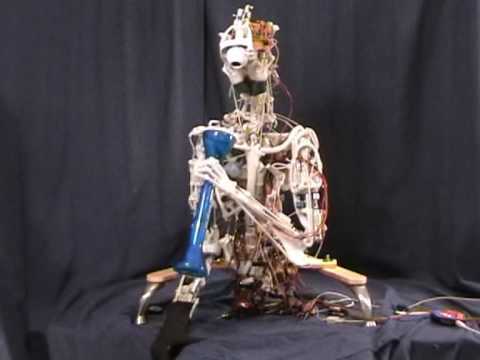 ECCE is a humanoid robot that uses artificial bones, muscles, and tendons to move like you do. 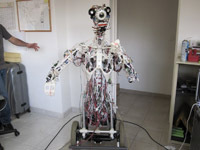 It can safely interact with people, including being hugged. That is, if anyone will ever want to hug it. 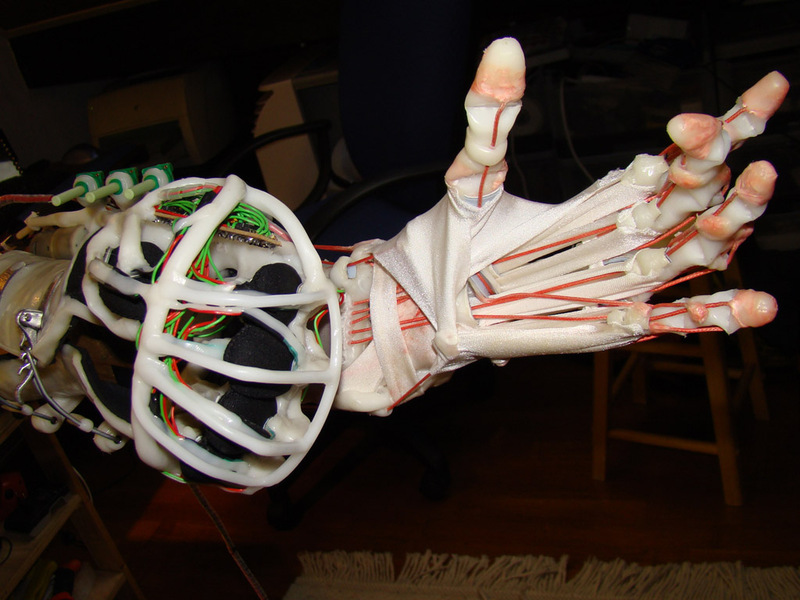 ECCE's body mimics a human's bones, tendons, and muscles. 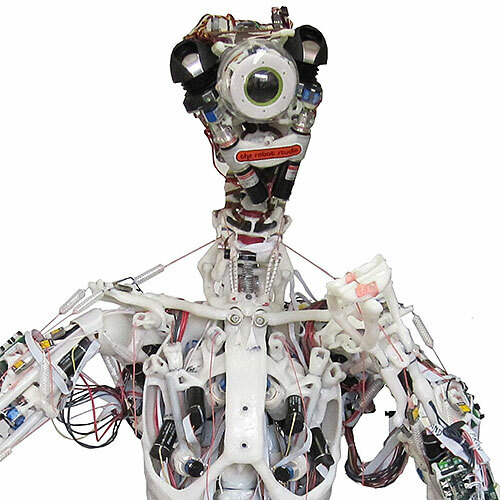 ECCE gets a Kinect 3D sensor for eyes. 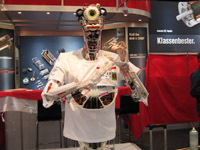 ECCE on display in 2010. Close-up of ECCE's Cyclops head. 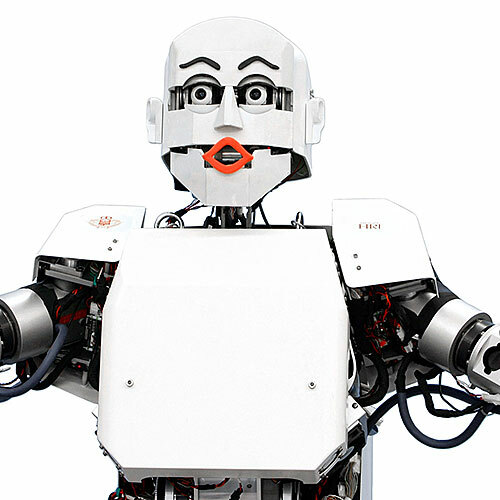 Meet ECCE, an "anthropomimetic" robot. 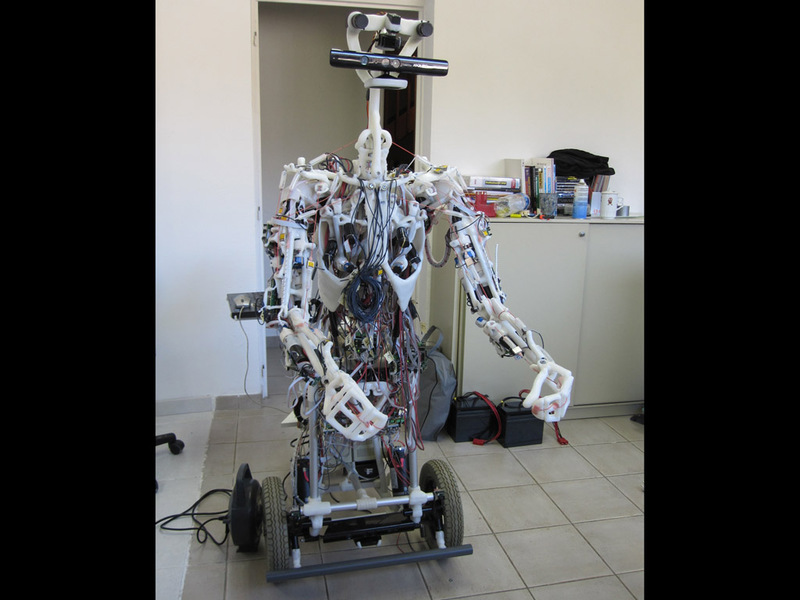 ECCE stands for "Embodied Cognition and Compliant Engineering." 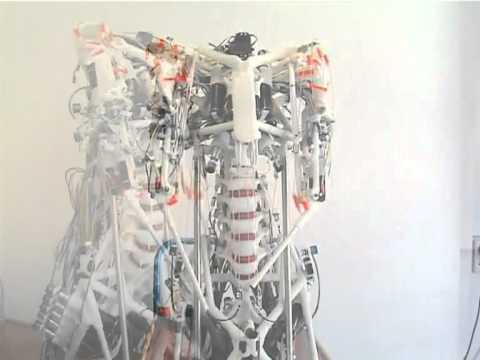 ECCE's bones and joints are all formed out of Polymorph, a type of plastic that can be easily reshaped by heating it. 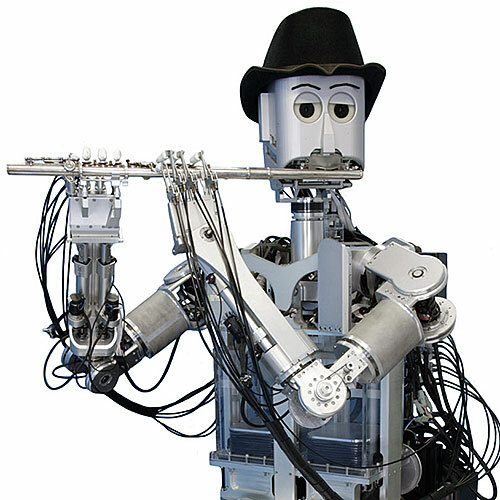 Anthropomimetic design. Able to hold a conversation over Skype, with head direction and gestures controlled by the remote operator. 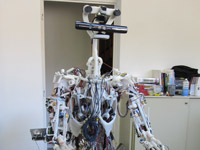 Camera, microphone, muscle-length sensors, tension sensors, motor current and position sensors. PC connected to a distributed microcontroller network by CAN bus or i2c. 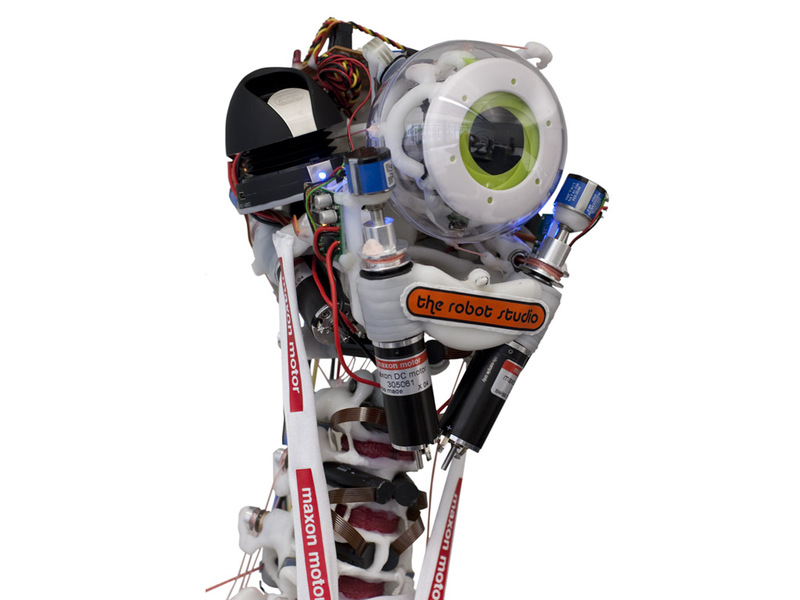 Custom firmware from the Robot Studio and TUM. 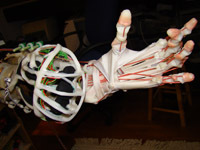 Linux/PC software from several members of the project (including the ECCEOS tendon-driven robot simulator). 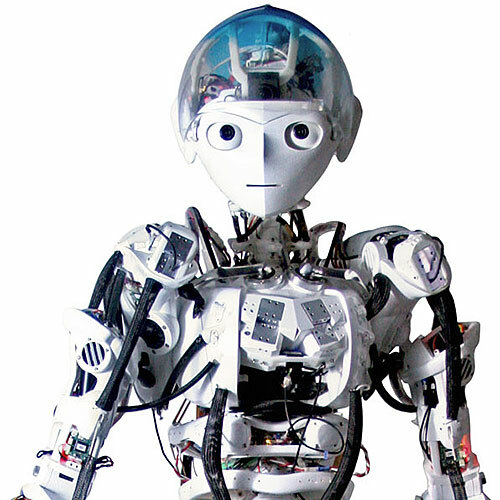 The ECCE robot series was designed and built as part of the ECCEROBOT (Embodied Cognition in a Compliantly Engineered Robot) project, funded by the European Commission. 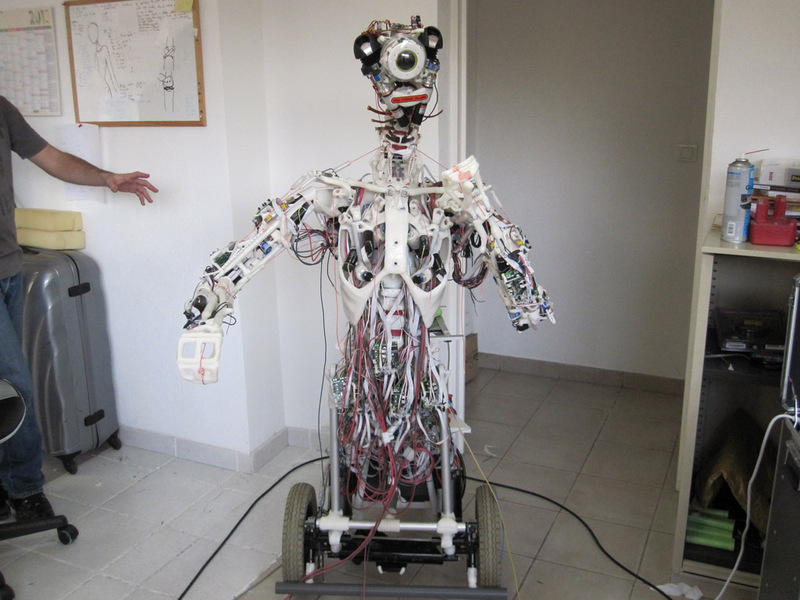 The project produced three robots: ECCE1, the ECCEROBOT2 Design Study (EDS), and ECCE3. 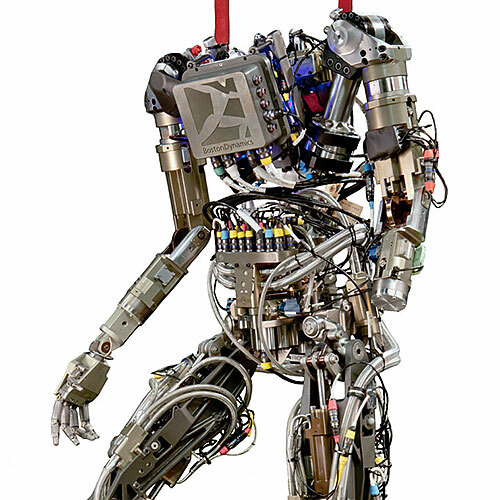 All robots were designed and built by The Robot Studio. 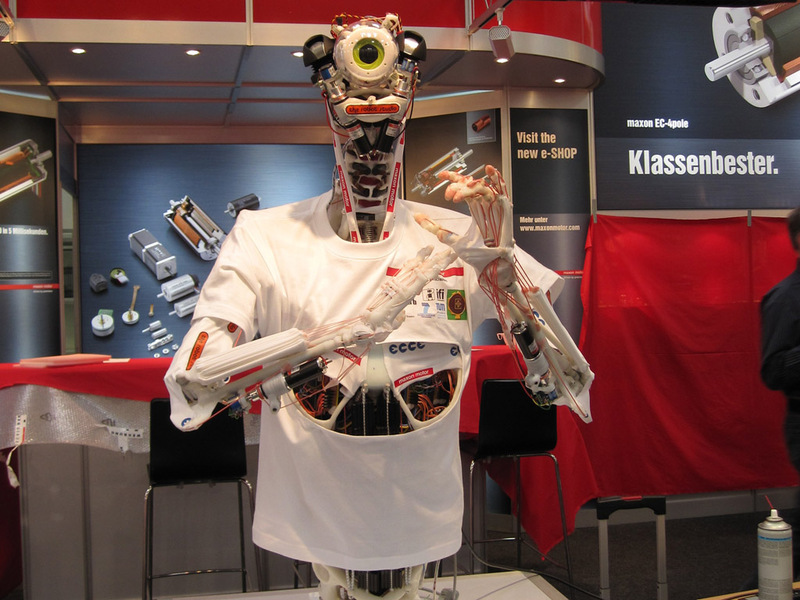 Later robots included electronic components and control software designed by the Technical University of Munich (TUM). Additional software components for modeling, control, and analysis were produced by the University of Sussex, TUM, the University of Belgrade, and the University of Zurich. ECCE1 was unveiled in 2009; the EDS model was unveiled in 2010, and ECCE3 in 2011. 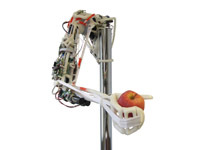 ECCE3, which has simplified hands and neck, is mounted on a wheeled base and incorporates additional sensors, electronics, and software from the partner universities.